Home » Articles » 91. Six Causes of Muscle Cramps. Ouch! ← 90. Are You a Creative Person? Structure Will Get You Started! In the middle of the night you suddenly get muscle cramps. Ouch, that hurts so much!!! Rubbing, stretching and putting pressure on it; you do all kinds of things to get rid of the pain as quickly as possible. It is a particularly cruel phenomenon! And the following day, the cramp can just suddenly return. I wonder what the body is trying to tell us. Are the muscles worn down? Is there some kind of waste material in them? Are they overworked or do they have a shortage of nutrients? The body is so amazingly clever, why does it “make” cramps? It seems that there are a number of possible answers. And how about you? 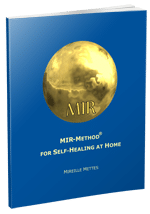 Have you also noticed that you don’t get cramps anymore because of doing the MIR-Method? I’d love to hear about it! Please write your answer below. Thank you! My wish for you is that you and your muscles wonderfully relax!